Today, our music is more accessible and portable than ever. Programs and apps like Spotify or iTunes let you store your music collections in all your devices, including your smartphone, tablet or laptop. While the authenticity of a hard copy vinyl and impressive home theater are still highly valued, it simply isn’t enough anymore. People want the ability to enjoy and share their music wherever they please. To take full advantage of this, you need equipment that compliments that desire. This is where wireless audio equipment comes in. On the one hand, wireless audio equipment still doesn’t quite have the technology to compare to the quality of a home theater. There are two main reasons for this. One is that portable audio equipment (such as headphones and compact speakers) are simply limited by their size. For example, the drivers (and all its components) are inevitably much smaller than in a regular sized speaker. Second, wireless technology itself comes with its fall-backs. A wireless transmission suffers inevitable losses in the audio quality that need to be compensated for with technology. Thankfully, such technology is making great strides in improving wireless audio transmission, making it easier than ever for users to get the most out of their portable wireless audio equipment. With all this to consider, the real problem is finding a portable speaker that lives up to its standards and delivers where you want it to. Lucky for you, we’ve tracked down a speaker that does all that and more. 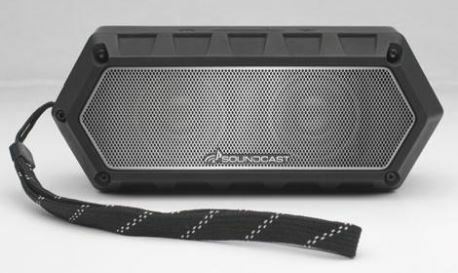 Soundcast’s VG1 Bluetooth speaker is everything a wireless speaker should be, and comes with the latest technology to optimize your audio experience. For a speaker you can rely on whether you’re at the office or the lake, the Soundcast VG1 will be there for any adventure or down time. 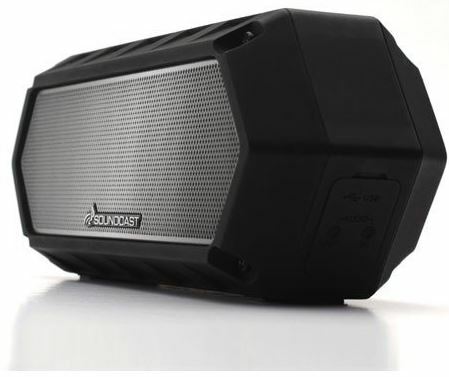 The Soundcast VG1 is not your typical looking portable speaker – it comes with a bit of attitude. It’s rugged design and angular shape gives it an edge that reflects its durability and strength to keep up with you while you’re on the go. It has a matte black exterior that is complimented by a silver metal grille with a subtle Soundcast logo across the bottom. The on-board controls are conveniently located on the back side, with volume control, playback and play/pause commands all just an arm’s reach away. There’s also a USB and audio jack on the side for easy access to charging and cabled hook up when you need it. All the buttons are black just like the exterior, making them subtle but still easily located. Included with the speaker are all the extra components to need to get the most out of your Soundcast VG1. First, it comes with a detachable lanyard that you can clip to the speaker for more transport options. For example, the lanyard allows you to attached the speaker to a carabiner for easy clipping to any hiking backpack. 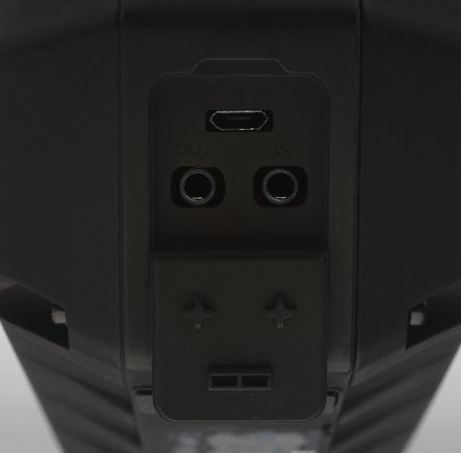 Also included are a USB and audio cable, so you can charge the speaker with ease or connect to a source device for a cabled audio experience. Finally, the Soundcast VG1 comes with a convenient cable bag so you can easily store and transport everything you need with your portable speaker. You can tell simply by looking at it that the Soundcast VG1 was built for users who need a speaker that withstand a little more than your daily wear and tear. Its rugged design is no mistake – the Soundcast VG1 is meant to follow you from the mountain to the pool to the hotel room. And unlike some products, the VG1’s rugged exterior isn’t just for looks. It was also built to perform exactly how it looks like it should. The matte black enclosure is not just thick and sturdy, it’s also shock resistant and waterproof. These features make it more than just a speaker – the VG1 is designed to be lifestyle companion. The shock resistance allows you to use the speaker even while you’re on the move, without any fears that an accidental tumble will cause damage. And don’t hold back when you see a body of water that is just begging to be swam in. The VG1’s waterproofing means you can enjoy all your music by the waterside without worrying about a few splashes putting a dent in your adventure. The compact design itself also gives the speaker more durability than your average portable speaker. 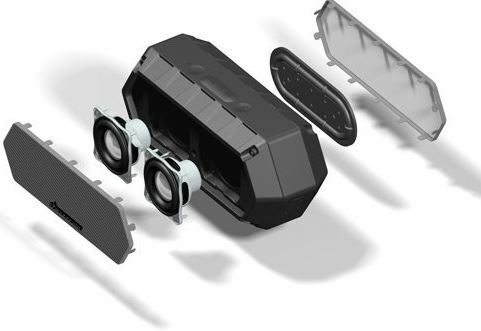 The materials used to build the speaker are meant to withstand more than just your daily wear and tear, so you can use the speaker outside the comfort of your house without a second thought. If you need a speaker that keep up with your adventure needs, the VG1 is an undoubtedly solid option (in both meanings of the word). 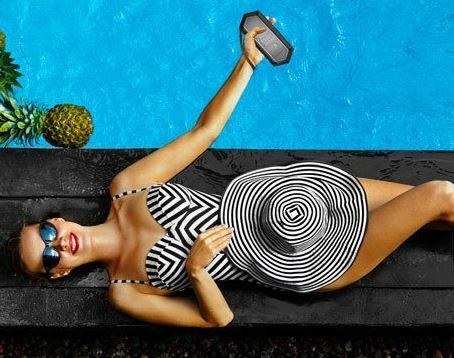 Outdoor friendly speakers are not necessarily anything new on the portable speaker market. With more and users demanding more out of their audio equipments, countless brands have opted for at least one product that can be marketed as adventure-friendly. The only precaution is that this doesn’t always mean anything has been done to improve the audio, which for most people is the selling point. Thankfully, Soundcast made sure to pack the VG1 with as much technology as possible to fully optimize the sound quality without sacrificing anything in the way of durability. For starters, the VG1 is built with premium aluminum drivers that deliver huge bass that refuses to be ignored. Think you can’t get good bass in a portable speaker? The VG1 will have you thinking again. Plus, the bass radiator is powered by premium amplification that includes aptX and AAC technology. aptX is an audio codec specifically designed for Bluetooth to get the best quality audio transmission possible and reduce losses to a minimum. Combined with AAC audio format that delivers an even better quality sound than MP3, the VG1 will leave you surprised you’re listening to a wirelessly transmitted audio file. The results are high def audio that is crisp, clear, and immersive in any environment. Two is better than one, and this is especially true with the Soundcast VG1 Bluetooth speaker. With two VG1s, you can use the stereo pairing feature by connecting both units to experience live stereo sound you can immerse yourself into. If you’re impressed by the VG1, then you’ll be blown away by the sound quality of pairing two. What can often set a wireless speaker apart from its competitors is the kinds of features it offers. While the audio and durability of a portable speaker are easily the most important selling points, good features are often the cherry on top, and once you have them, it’s hard to imagine how you got by without them. For starters, the VG1 has an incredible battery life. Battery life is one of those often-overlooked features that, when it fails, can have you kicking yourself for choosing the wrong speaker. A poor battery life is a seriously limiting feature for any portable audio equipment. However, the VG1 comes with a built in high capacity, rechargeable lithium-ion battery that allows you to play up to 15 hours of music without ever having to plug in. That gives you enough battery life to last any day’s road trip, hike, or other long term adventure. The VG1 also offers hands free control with Siri, giving you access to all of Siri’s best features without even touching your speaker. The built in microphone allows you to take conference calls as well as give voice commands to Siri. With a feature like that, you can always find the best stops on your road trip or make last minute reservations at a hotel. Plus, the speaker is compatible with any device, including Android, iPhone, Samsung, and Windows devices. 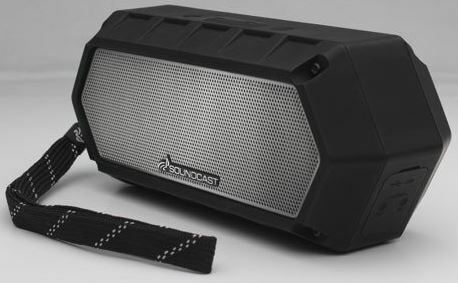 This is a speaker that is not just adventure-friendly, but actually has the ability to make any adventure even better. Should I Own the Soundcast VG1? No one wants to spend an outrageous amount of money on a portable speaker, but at the same time we demand a lot out of them. When you find a portable speaker that lives up to all your expectations – maybe even exceeds them – but somehow maintains a totally affordable price tag, it’s hard to turn down. The Soundcast VG1 is definitely one of those products. It’s a portable speaker that offers the best, most up to date technology in audio optimization. Additionally, it’s designed specifically for life outdoors and on the go, and it offers features that most portable speakers would be envious of. As a speaker that will not only keep pace on your journey, but actually have the ability to improve it, it’s hard to find anything bad to say about the VG1. The only thing that could make the VG1 better is having two to take full advantage of the stereo pairing feature. The good news is that the VG1 is so affordable, it’s hard to imagine anyone won’t capitalize on the opportunity to double their purchase.